Dutch rider Marianne Vos has won Fleche Wallonne for the second year running after an explosive battle on the Mur de Huy. Vos proved the strongest after a group of around 25 riders reached the bottom of the final climb together. Three British riders made the vital split but couldn’t get the better of Vos. World champion Marta Bastianelli of Italy was runner-up and Germany’s Judith Arndt was third. 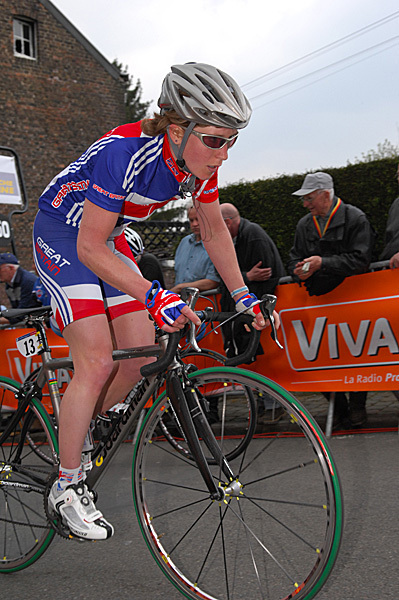 Nicole Cooke (main picture) finished eighth after trying to escape on the Cote de Ahin, the penultimate climb, and then attacking again with 500m to go on the Mur. “It would have been the right move had I had the legs to win it,” Cooke said afterwards. 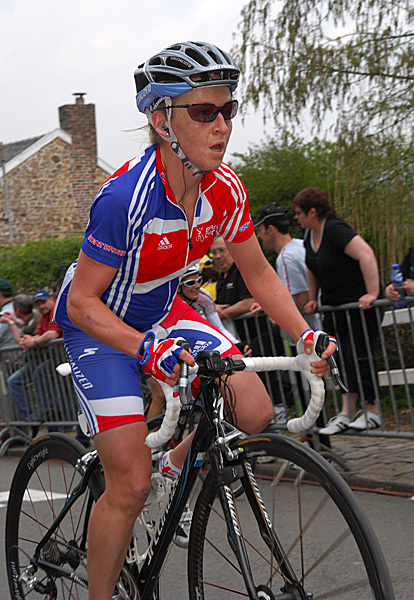 As the leaders approached the Mur de Huy, team manager Julian Winn was instructing Emma Pooley to attack the field from the bottom, in order to set Cooke up for the win, but the tactic didn’t pay off this time. 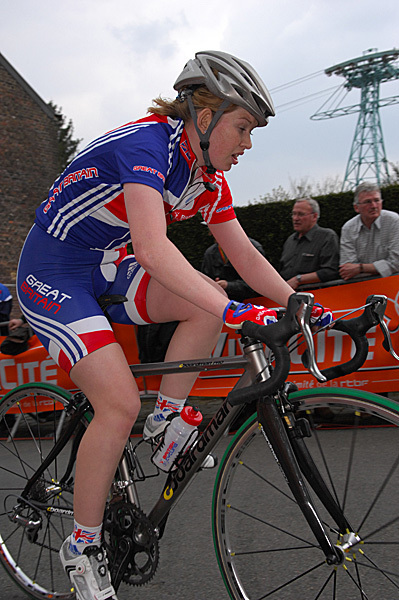 Halfords’ newest recruit Sharon Laws rode strongly in her first World Cup race. She too made the final selection and finished 31st, a minute back. “It was probably the hardest race I’ve ever done, and I was pretty spent by the end of this climb, so I’d worked as hard as I could during the race.” Laws said. The other two British riders, Jessica Allen and Catherine Hare, finished but were among 46 riders who were outside the time limit.